Dronacharya Award is the highest in the field sports coaching. 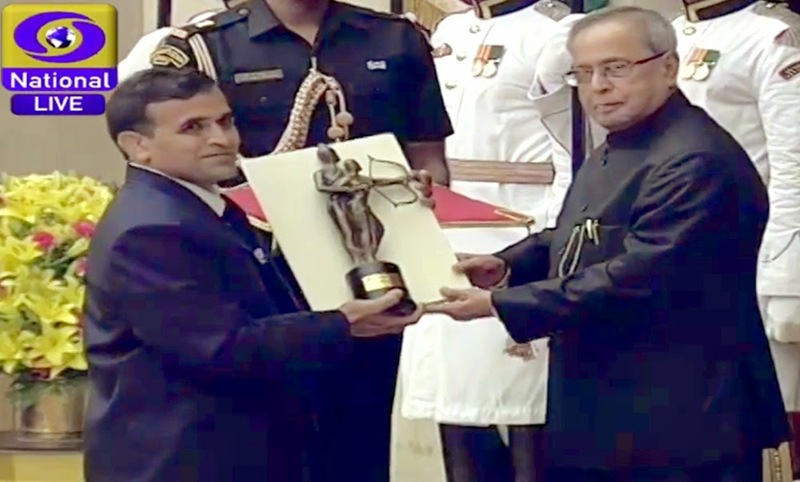 On 29th August,2014, Mahabir Prasad-wrestling coach got this prestigious award from honable president Sh.Pranab Mukarjee. This prestigious award is presented by Ministery of Youth Affairs & Sports, Govternment of India. It comprises a bronze Statuette of Dronacharya (Guru or teacher of Arjuna), scroll of honor & a cash component of Rs.5,00,000/- It was instituted in 1985. Mr. Mahabir Prasad Bishnoi(Beniwal) is son of Lt. Sh. Bhagi Ram Ji Beniwal who belongs to Village – Siswal(Hisar), Haryana. He is serving Sports Cell CISF & National Team coach right from year 2003 till 2013. Now he is Head Coach CIFS wrestling freestyle & Greco-roman team also. Mahabir ji has produced four wrestlers who got Arjuna Award namely Dharmender Dalal, Kripa Shankar Bishnoi, Gitika Jakhad and trained thousands of wrestling in all parts of India.